West Wins Kings Cup in Thriller Finale! 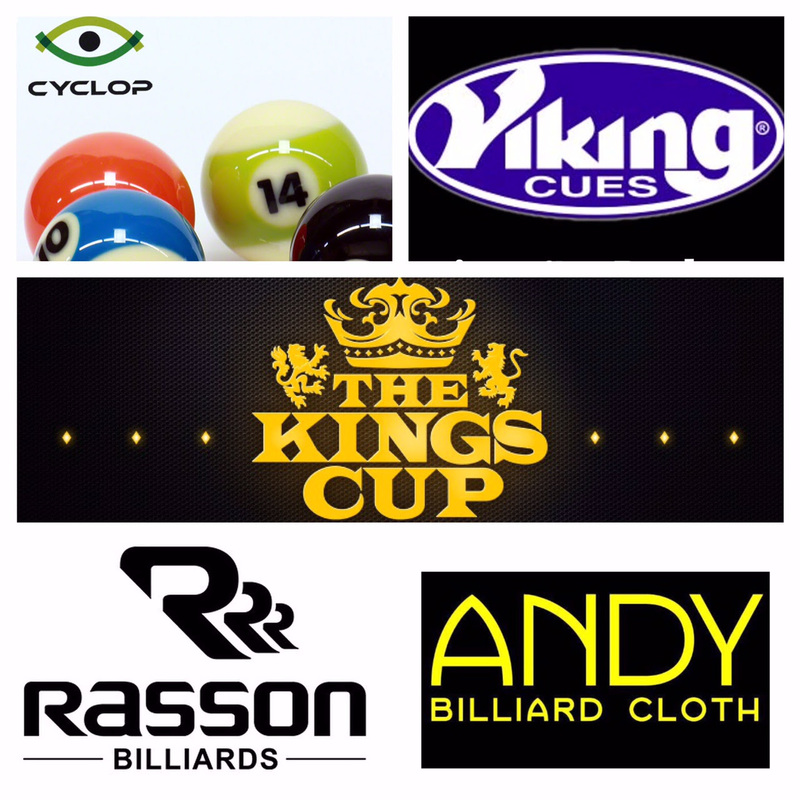 Home Billiard News West Wins Kings Cup in Thriller Finale! 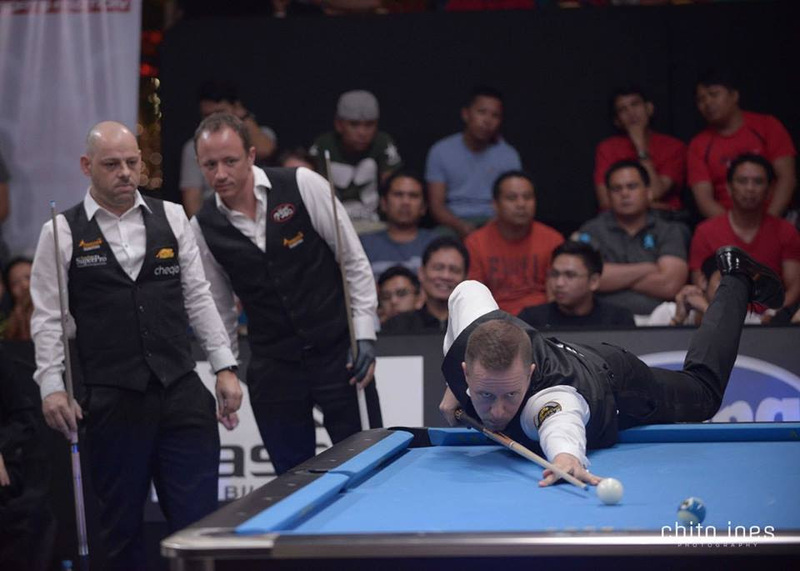 Manila, Philippines- In one of the most exciting finishes ever in cue sports team play, the West was able to hold back a huge charge from Asia in the pen ultimate match. 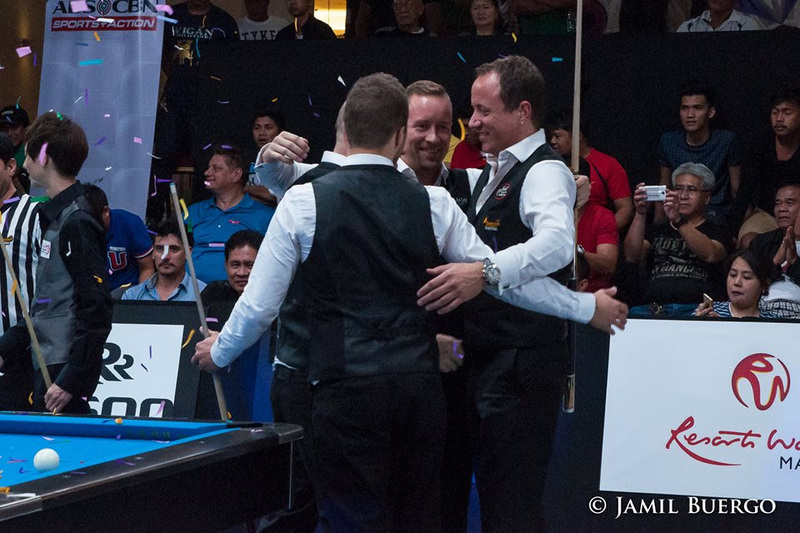 The final match was the eighteenth of the event, which was a triples match seeing captain Mika Immonen, Darren Appleton, and Albin Ouschan securing the final point for the win. 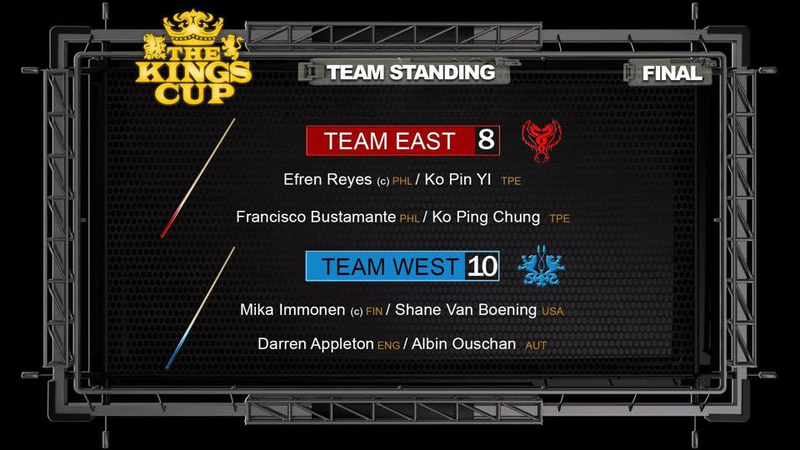 Captain Efren Reyes, veteran Francisco Bustamante, anchor Ko Pin Yi, and rookie Ko Ping Chung represented Team Asia while captain Mika Immonen, veteran Darren Appleton, anchor Shane Van Boening, and rookie Albin Ouschan made up Team West. Never before have two teams been so stacked with skill and talent. 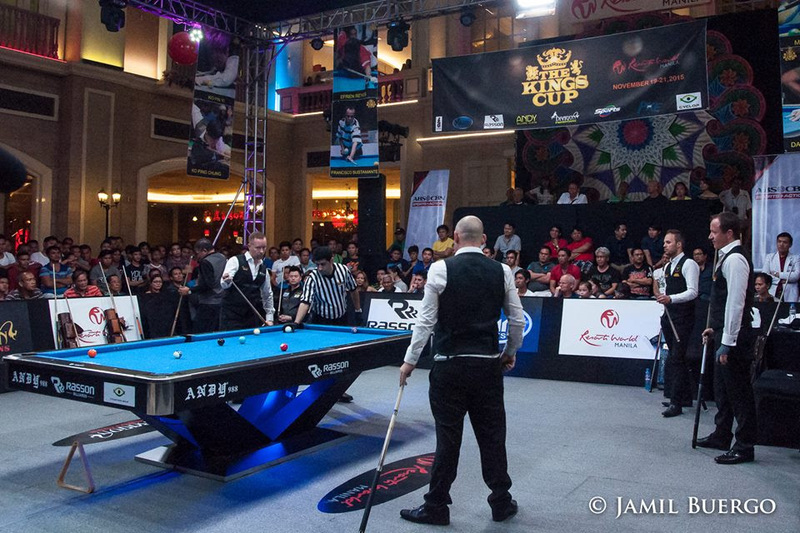 The inaugural Resorts World Kings Cup will mark the first time Europe and USA join forces to face again the greatest players of the Asia with Philippines and Taiwan also joining forces for the very first time in history! 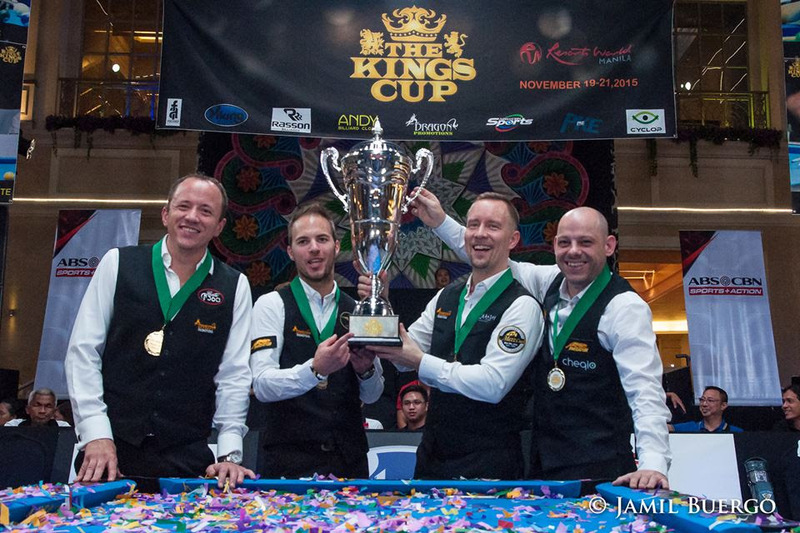 European and American champions will go against Asia’s champions on November 19th at Resorts World Manila in the inaugural Kings Cup! 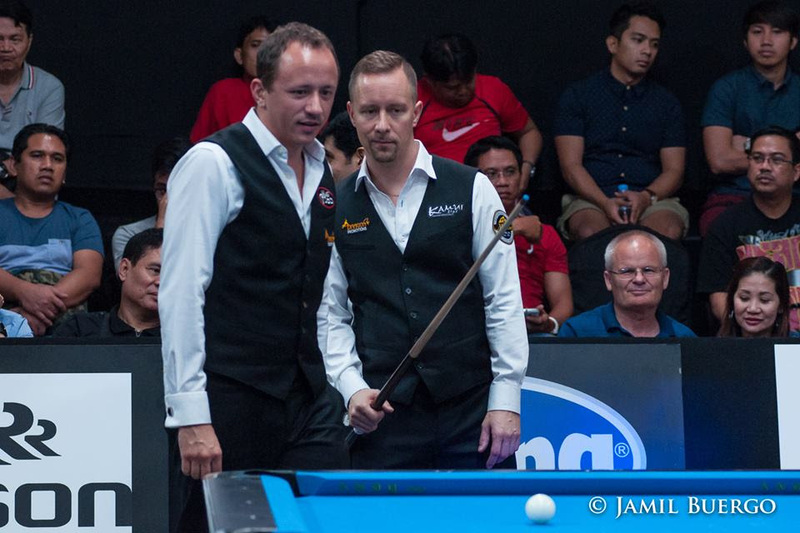 In what surely will become the most epic rivalry in cue sports, the pool world is about to get rocked in a war that fans have been dreaming about for years. Dragon Promotions is pleased to produce the Kings Cup, a three day contest to declare which side of the world boasts the strongest players, the East or the West. 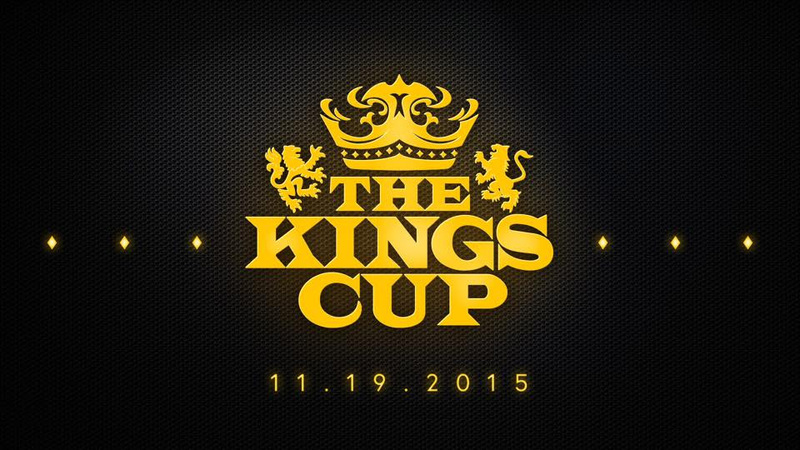 On November 19th-21st 2015, the world, as well as the players themselves, will find out! Four players on each side have been selected to represent their continent. The Kings Cup will be hosted by the award winning casino Resorts World Manila , produced by Dragon Promotions and aired on ABS-CBN Sports Channels for 12 hours of coverage and replays. 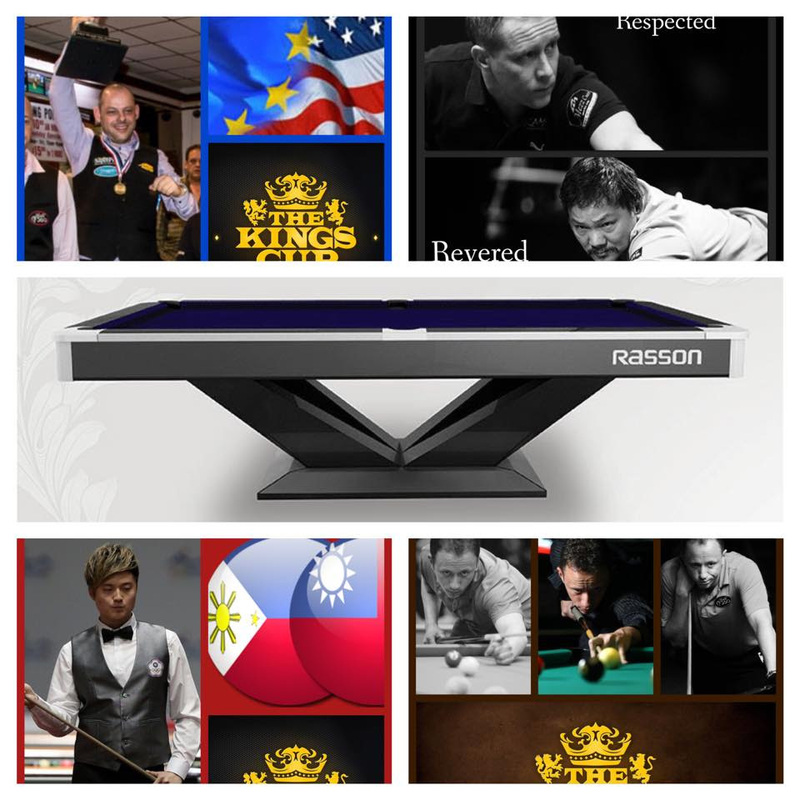 The event will be played on the beautifully designed Rasson Table using Andy Cloth, Viking Cue, Cyclop Balls while the players will wear prestigious clothing made by FA Clothing Company. Puyat Sports, Pool & Billiard Magazine, and Billiards Digest are also co-sponsors. In the first match of the day, Captain Reyes sent out the Ko Bros. to take out Captain Immonen & Albin Ouschan. The Ko Bros. were able to take advantage of the errors from both western players to cruise to an easy 5-2 win and bring Asia within one again. Thus far the Ko Brothers were undefeated as a duo in the KIngs Cup. Asia 6-7 West. In match #14, Reyes sent out the best performing player so far for Team Asia, Ko Ping Chung. The 20 year old matched up well against the struggling Darren Appleton and eventually stood on the hill 4-3. A match win for Asia would level the team scores for the 5th time of the event. Appleton had another scenario in mind as he dug in deep and came with clutch shots including a off-angle half table length shot on the 10-ball to tie at 4-4 hill-hill. 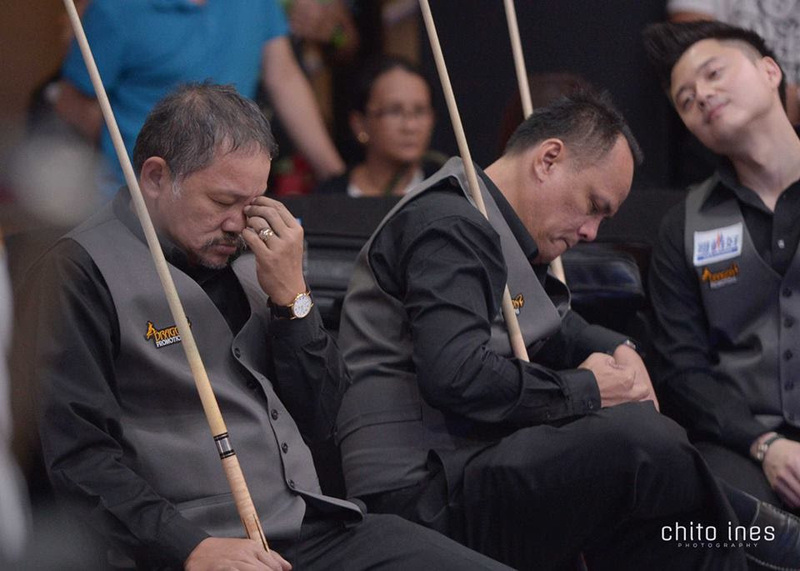 A pressure packed hill-hill break and run followed to the dismay of Efren and the Asian all stars. West 8-6 Asia. The triples were next and per Kings Cup rules the trailing team was given the right to choose the triples for the opposing team. 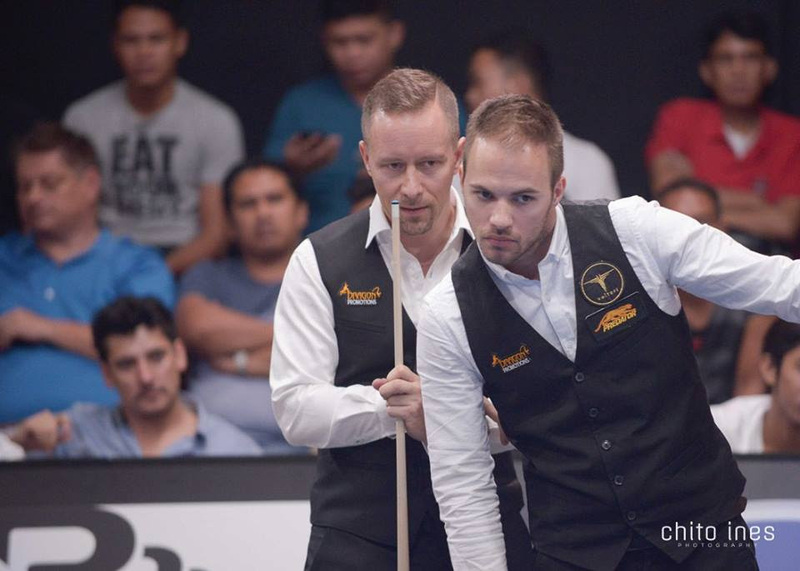 Thus Captain Mika Immonen once more took the stage with Albin Ouschan and Appleton against Efren and the Ko Bros. It was a see-saw battle, but it was Asia who took the lead first and squeezed to a 4-3 lead after a unbelievable miss with ball in hand from Appleton, probably his first on TV. 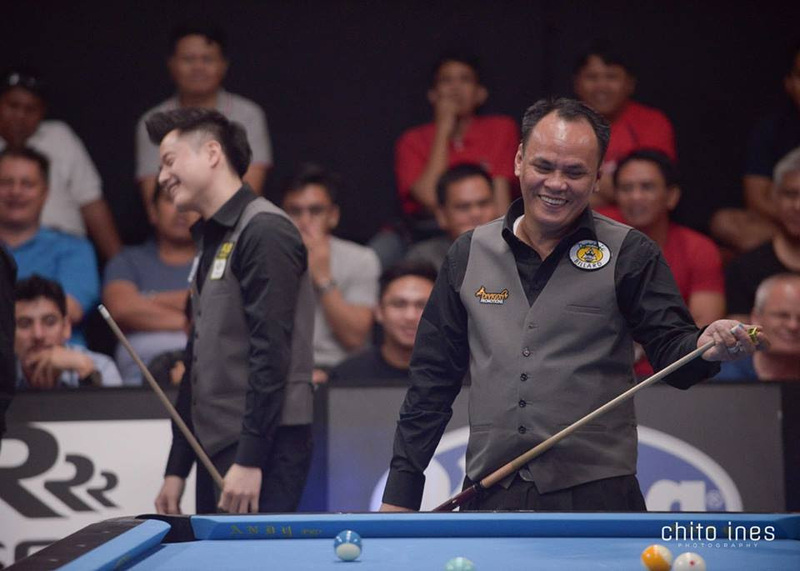 Then later a fantastic length of the table cross corner bank on the 5-ball by Ko Ping Chung, on a shot that Reyes himself could have taken but chose not to. Reyes was putting tremendous amount of faith in the young brothers. Then the break of the tournament happened. According to the Kings Cup rules, a traditional rack was used as well as enforcement of “The DP Hard Break Rule” which has been used in every Dragon Promotions event for nearly a decade. The 10-Ball only counted as a win in the sidepockets and upper corner pockets. The idea was to enforce players to avoid using any soft breaking or pattern racking. Thus dynamite, explosive breaks were occurring every rack of the event. 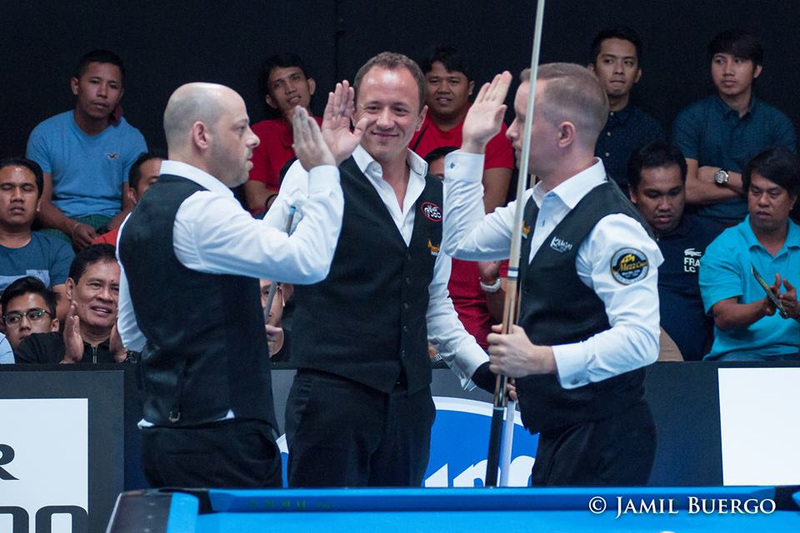 This favored the king of the break, Shane Van Boening. SVB lined up the cueball and smashed into the balls harder than anyone had seen yet. The cueball flew straight up in the air and squatted in the center of the table. 3 balls flew into the pockets. The table was wide open. But no need for his playing cue. 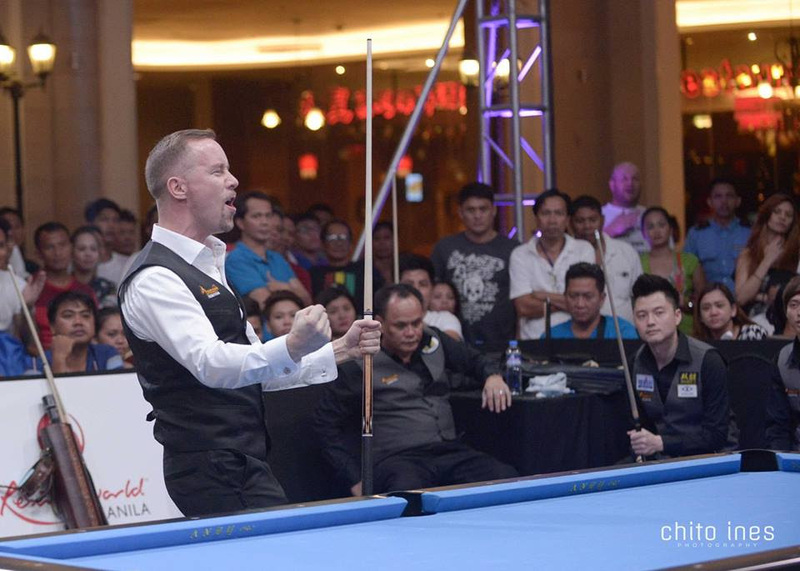 Shane had made the 10-Ball on the break as it shot up the length of the table into the corner. His break had now forced the match to a 2nd consecutive hill-hill decider, with again the West coming back from behind to tie. The greatest 10-Ball break captured . While West tried to utilize their American weapon as much as possible, Team Asia tried to keep Shane out of the matches as much as possible. In the final game, Reyes opted to take the opening shot on the 1-ball needing adequate speed control to push the cueball across table for position on the 3-ball. He made the 1-ball but overran position leaving Ko Pin Yi an off-angle shot on the 3-ball. The World #1 Ko had been making much more difficult pots the entire event, but this one failed to go to the exasperation of the audience. West would run the rack from there and take the biggest team lead yet, with a 3 match lead, and more importantly put them on the hill 9-6 and one match away from victory. “That was the greatest break I have ever seen”, said Appleton. Team Asia was now on the ropes. It was the 4-on-4, and incredibly, Asia had lost every 4-on-4 and every 3-on-3 in the Kings Cup. This looked no different. The mood on Team Asia was sour. The audience was silent with everyone anticipating the end. A missed ball by Albin Ouschan led to Asia’s first game. So some pride was saved. In the next rack, another error by the West gave Asia 2 games. Was a comeback possible? Hope suddenly was in the air. 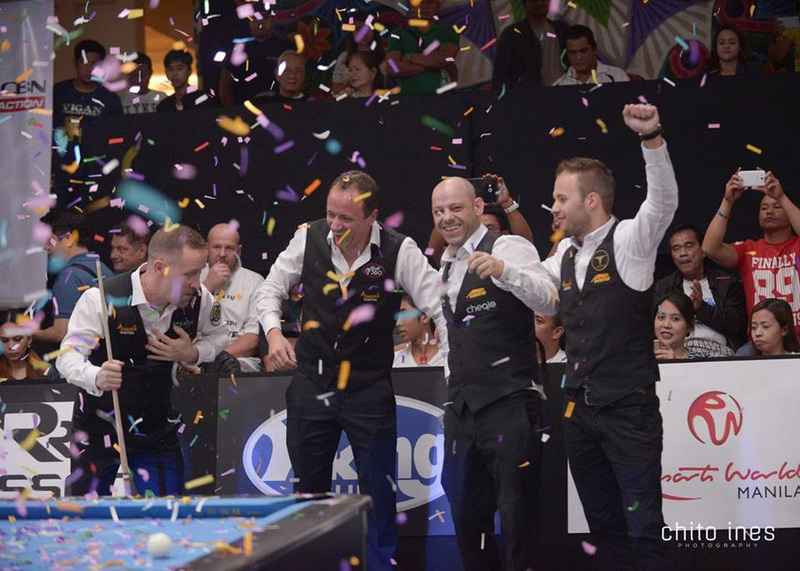 A missed 9-ball by Immonen drew cheers from the crowd and suddnely Asia was alive 3-4 and playing with renewed fervor! The West players felt the heat of the comeback from Asia and completely folded. Mistakes came and Asia had done the unthinkable and won their very first 4-on-4 in thrilling fashion at 5-4. It was the 3rd consecutive hill-hill of the day. Asia now trailed 7-9. Next was the final singles match of the event, and it would be World #1 Ko Pin Yi taking on Europe #1 Albin Ouschan. Ko played with renewed confidence looking for revenge from his beating at the hands of Van Boeing the night before. A crucial moment was at 3-2 Ko, when Ouschan took ball in hand and opted to take on a long combo on the 10-ball and missed. 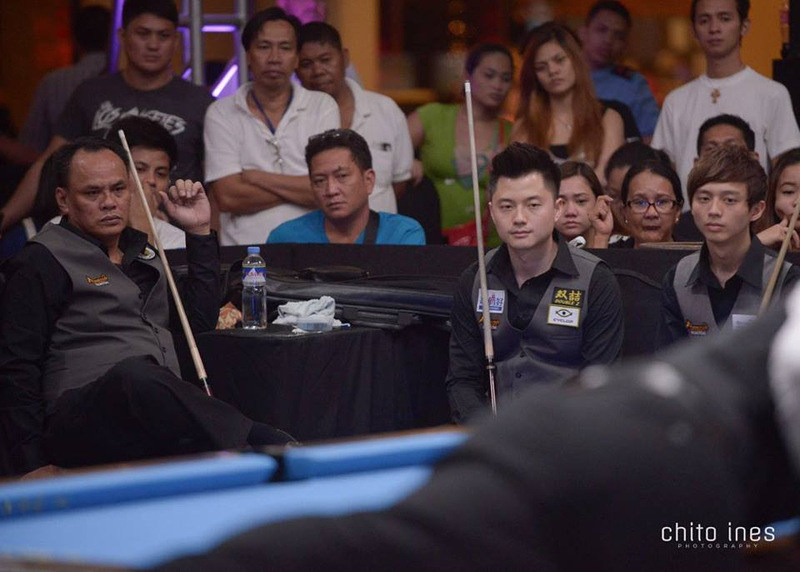 KO was left a length of the table bank with a possible carom on the 10-ball which he called. His 2 way shot paid off as the cueball slid down the rail like a missile and found the 10-ball. Reyes leaped in the air cheering while the dismayed Albin could only keep his eyes to the floor. Ko would win the match 5-3 and put Asia only 2 matches away from winning the Kings Cup. At this point, everyone in the room was feeling the tide had turned, and that Asia had snatched victory from the jaws of death. That the headlines tomorrow would read that the West had blown their victory needing only 1 game in the 4-on-4 and Asia’s miraculous comeback from there. Team West was thinking the same exact scenario. The pressure was extraordinary. Immonen faced the daunting task of captain and player. Ko brothers anchored Asia. The score stood at 9-8 favoring the West, but it felt like Asia as the favorite. It was 12:00 midnite, and not a soul had left their seat or position standing. The arena was packed with standing room 5 rows deep. People had skipped their dinners to not miss a moment or lose their seat. No fan dared to leave as every second filled with drama. For 6 hours straight. The final triples match was to start with Asia’s Bustamante and the Ko Bros vs Immonen, Ouschan, Appleton. To the West’s credit, they recuperated fast and kept the score close with Asia, though Asia took the early lead at 3-2. Then at 3-3, Bustamante faced a very routine 5-ball in the side pocket. He took his eye off and the ball rattled out. The West leaped to their feet but opted for a safety. 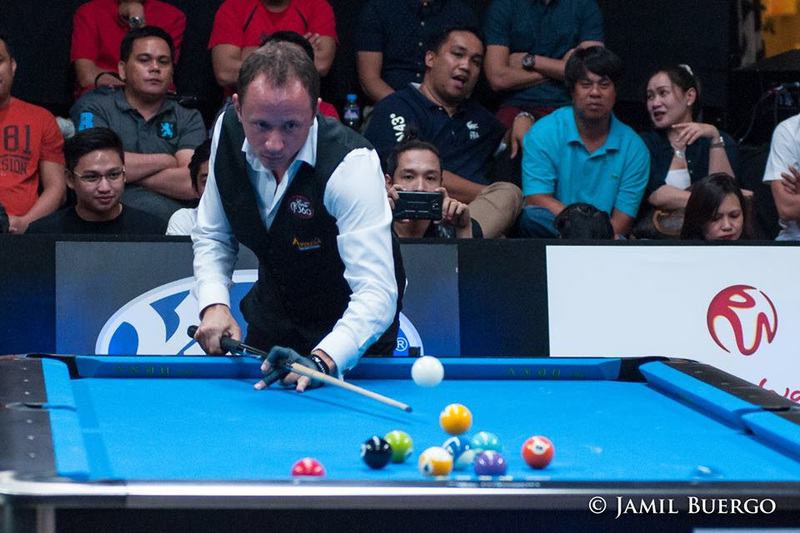 Mika fluked the 10-Ball in and hooked Team Asia. So he thought. The rule would state that West would have to continue shooting after making the 10-ball accidentally, and now Appleton faced a long kick at the 5-ball. He called the 5-ball and went to the side cushion. The cueball banked and went from the siderail, to the end rail, clipped the 5ball, the ball trickled ever so slowly and paused for a sec at the lip, and fell in. An incredible miss, bad luck, and then amazing shot went back to back in that game and now the West was back on top 4-3. Could Asia force a 4th consecutive hill hill match? West would break in rack 8 and they needed a ball in and a clean shot. They got it. Running to the 4 ball , Ouschan overran position for Mika and left a very off angle cut combo on the 9-ball. The commentators were saying safety. Mika had only thoughts of keeping Asia in their chair. He sliced the 4-ball perfectly into the 9-ball and made it. The table was now open with no challenges. They had only to keep their nerves in check ball by ball. 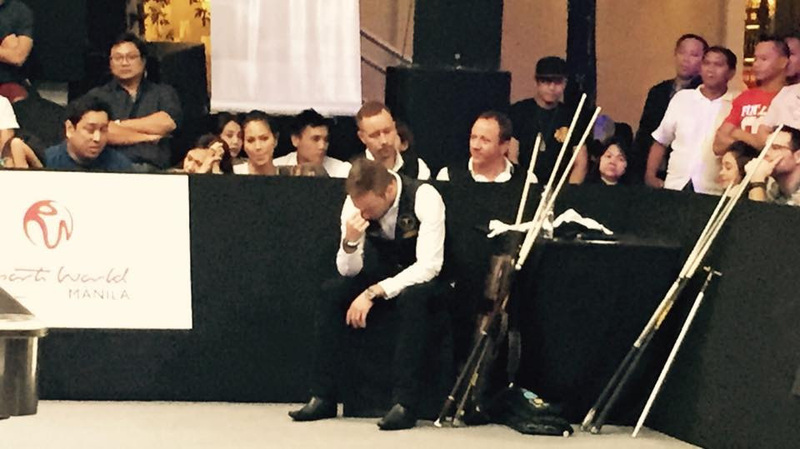 5 shots later, it was captain Mika Immonen facing possibly the final 10-ball of the event. Normally a player would probably give the 10-ball here and not let Mika shoot it. But the pressure of team events is not to be underestimated. Mika aimed the ball, lined himself up deliberately, took 3 smooth strokes, and then shot the final ball in with perfect, focused technique. Mika let out a roar of vindication. He had worked daily from before the event and during each day to keep the West together, focused, and ready. Even when at times they weren’t their best, and even after sometimes himself faltering in matches. “With 8 champions, and so many matches, and changing up the player every shot to shot, you really have no idea who will be the final man shooting the event ending ball. It’s a great honor and fortune when you are that guy. In this case, it was really a fitting end that Mika was that man. He was a great captain. He deserved it”, said Charlie Williams, executive producer of the event. Williams also had the privilege of making the final winning shot in the Mosconi Cup in one of USA’s victory over Europe. The players celebrated with gusto and Shane joined in to congratulate his comrades in arms. 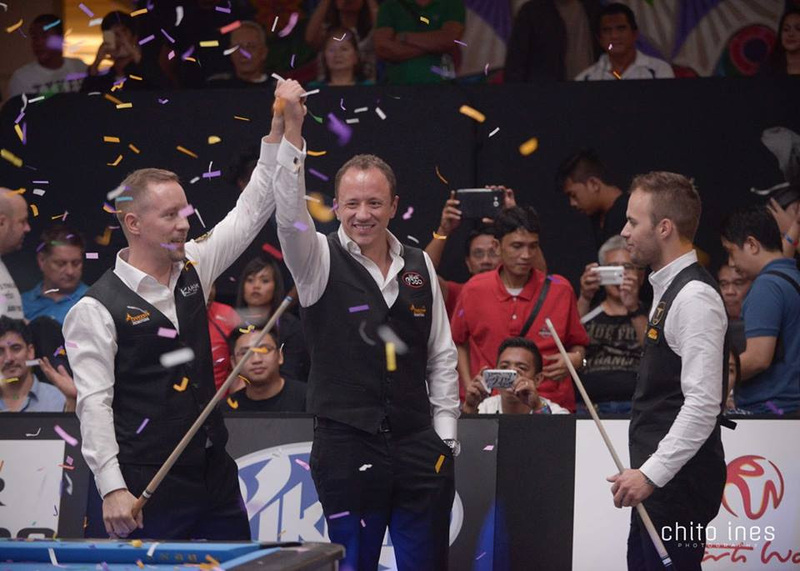 Mika grabbed his American partner and raised his hands in victory jointly. Appleton danced around for the audience. Celebration time! Immonen shows his American team mate how to celebrate a team win. “Hey Shane, you finally part of a winning team!”, jabbed Appleton after embracing his American partner. “The pressure of the Kings Cup was the same exact pressure I felt in the finals of the World Championship. It feels so good to have experienced this”, said Albin Ouschan. “If we lost that last match, I really think we would have lost in the 4-on-4 if it went to the end. Shane’s crazy break making the 10-ball turned the tide for us early in the day, and then Asia cameback. It was unbelievable Asia beating us from 0-4 down in that match. We really had to keep it together”, said Appleton. “We had alot of fun. 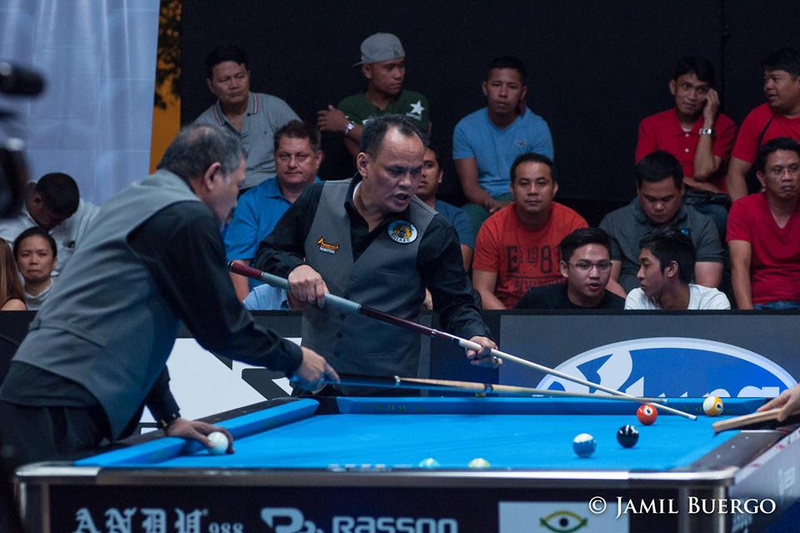 The experience of playing with Efren and Bustamante is something we will always cherish. 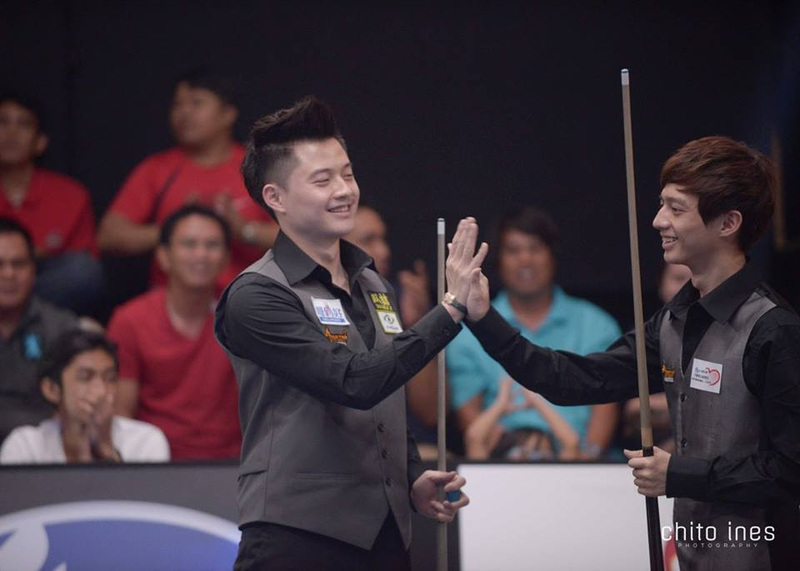 We really hope that both of us will get invited to play this again next year”, said Ko Pin Yi. “I’m really proud of my team. We showed alot of heart, spirit, character. 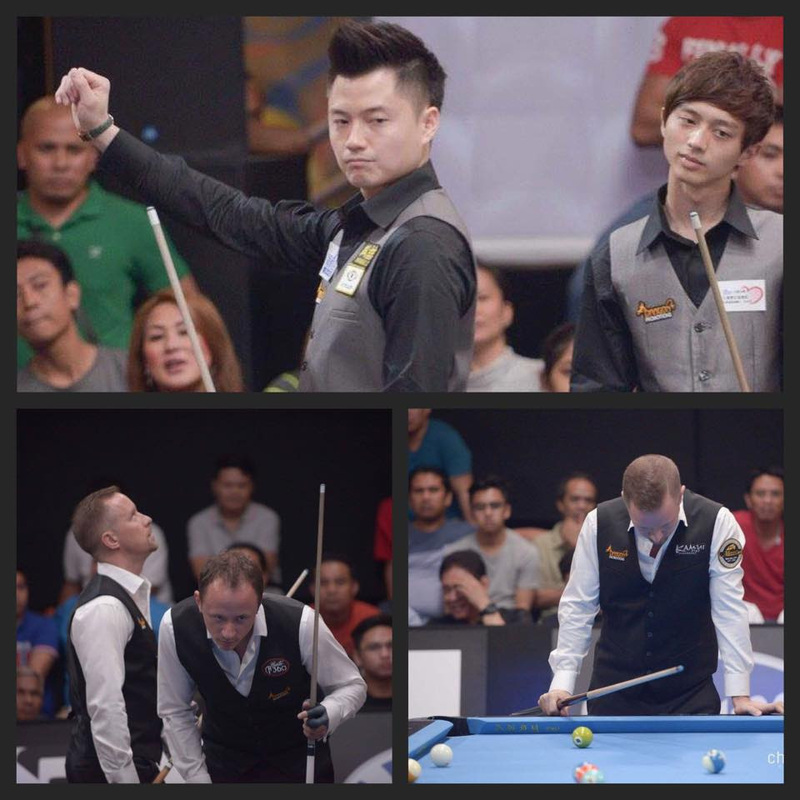 My hats off to Efren and Team Asia. They really pushed us to the end”, said Immonen. 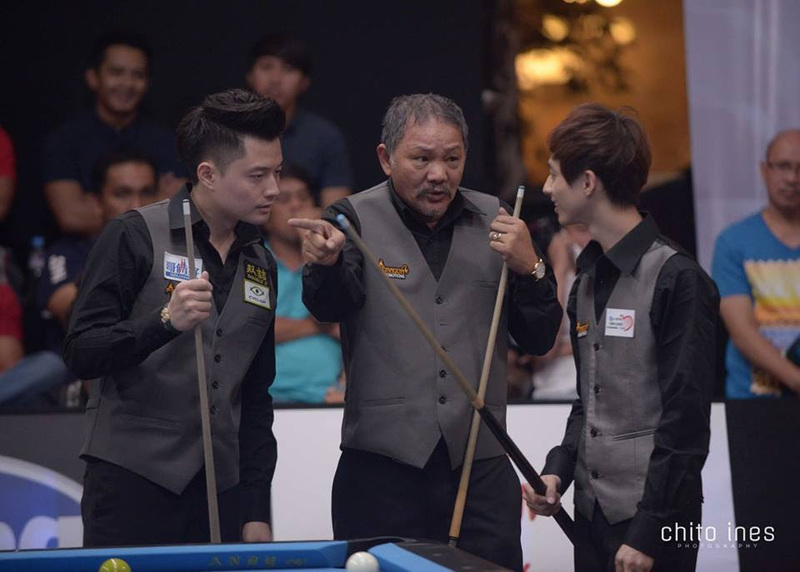 “Ko Ping Chung was the best player on Asia this event. He’s their MVP”, added Appleton. “I had a great experience with this team. I learned a lot, too. I definitely learned things that will help the USA team. I always try to learn everytime I play. 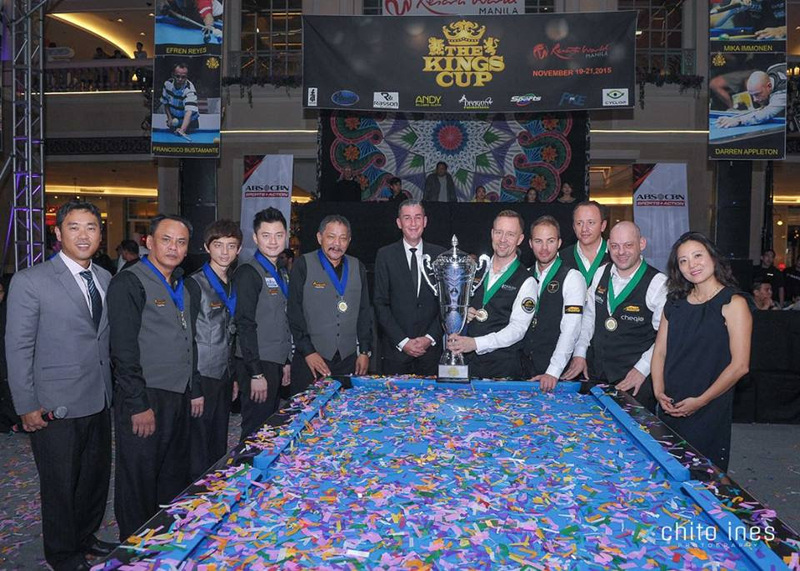 I hope I get invited back to the Kings Cup again next year”, said Van Boening. Shane was awarded the MVP of the Kings Cup, with the entire European contingent concurring unanimously. “It would have been better if we won in the earlier stage of the event. But we pushed our luck too far in the end”, said Reyes. Immonen was coach, mentor, strategist, leader, and player. Day 1, 2, 3 finale is now available 24 hours On Demand $10 per day until November 26th 11:59pm EST at www.KingsCupPool.com. History will remember the first Team West. The Rivalry has Begun. 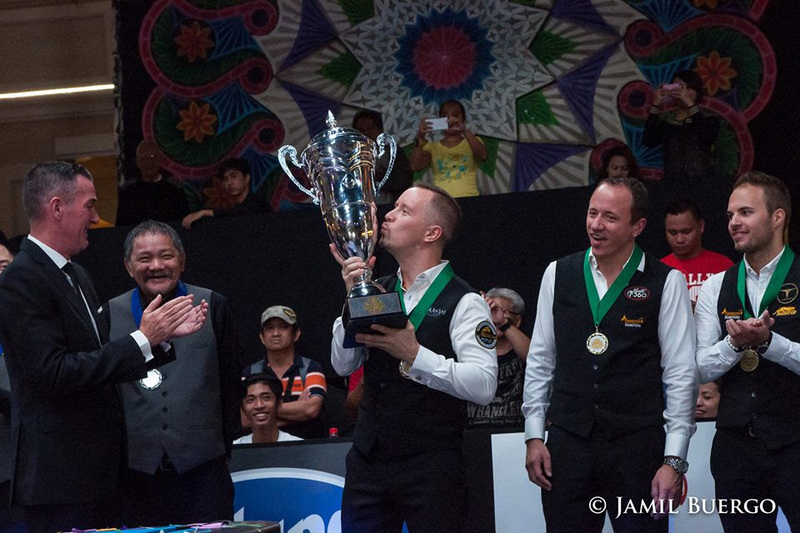 Shane Van Boening. Mika Immonen. Darren Appleton. Albin Ouschan. 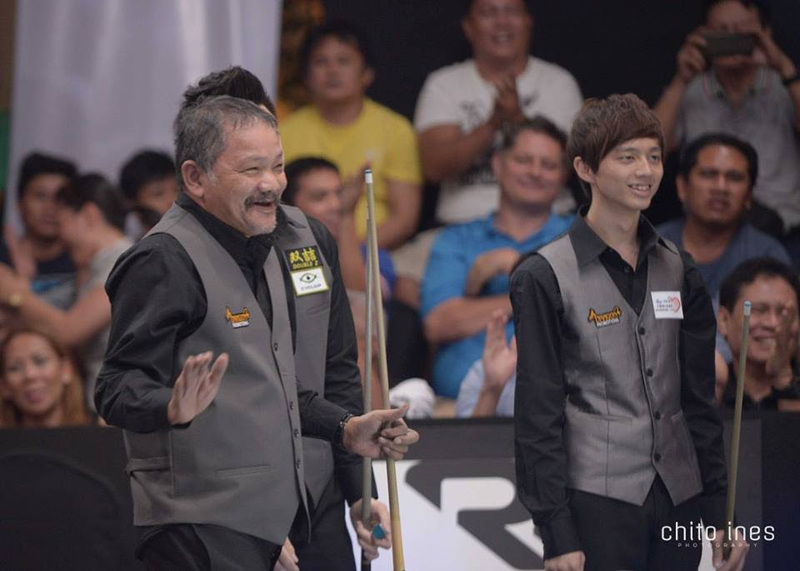 Four players who have all experienced winning international championships on big stages coming together against their equal counterparts in Asia’s Efren Reyes, Francisco Bustamante, Ko Pin Yi, and Ko Ping Chung.